Water Level: Before you pack up and leave town, you should provide regular maintenance for your waters. This includes ensuring that your water level is at the correct point so your filter works properly. It’s a good practice to check your water level often but especially before leaving on a vacation. Balance: Again, just like your normal pool care routine, you should test your water and adjust any chemical imbalance as necessary including shocking to keep your water clean and clear. This is one of the key components to our services to ensure your waters remain ready for swimming when you are unavailable to monitor your pH levels. 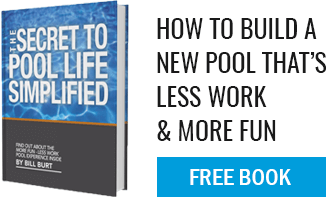 Chlorine: You will also want to leave your pool at its optimal chlorine level to reduce the chance of bacteria growth while away. With our services, we can check your waters and take any necessary actions to steer clear any issues including algae blooms. Filtration: You should also leave your pool’s filter system set to run several times a day for a total of at least eight hours to circulate your water. This can help clear any dirt and debris that makes its way into your pool. This season, instead of worrying about it or risk coming home to a host of pool issues, hire Aqua Pool to give your waters the personal attention they deserve under the watchful eyes of the professionals!